Nestlé is an international company with its headquarters in Vevey, Switzerland. In 1867 Henri Nestlé, a chemist from Frankfurt who had settled in Vevey, became interested in infant feeding. To satisfy a clear need, he developed and produced a milk-based food for babies whose mothers could not nurse them. The new product soon became well- known worldwide under the name of “Farine Lactee Nestlé “ (Nestlé Milk Food). In order to expand into a broader product category and meet more people’s needs, the Nestlé Company’s first diversification occurred in 1905 when it merged with the Anglo- Swiss Condensed Milk Company (est.1866). Today, processing milk food is still the company’s chief activity together with the other products of Nestlé family such as chocolates, instant milk-based drinks, culinary products, frozen foods, ice cream, dairy products and infant foods. Nestlé is still primarily concerned with the field of nutrition, but it has also acquired interests in pharmaceuticals and cosmetics industries. As a result of the company’s initiative and bold activity, it has grown into a large organization, employing almost 230,000 people in nearly 500 factories worldwide. 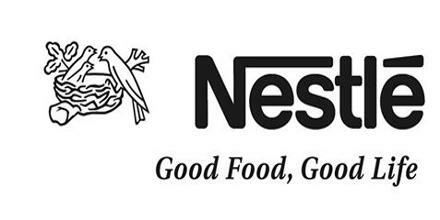 Nestlé products are now widely distributed on all continents and sold in more than 100 countries. Henri Nestle (1814-1890) is the founder of world’s largest food company. Henri Nestle was 53 by the time he developed the infant cereal that was to make his name a household word. The Nestle family originally came from Sulz on the Neckar in Wurttemberg Germany. Most of Heinrich forebears were glaziers. In the local parish registers the name is written in a variety of ways – Nastlin, Nastlen, Nestlin, and Nestlen. It was not until Heinrich’s grandfather Johann Ulrich (1728-1816) moved to Frankfurt am Main in 1755 that “Nestle” (“little nest”) became the accepted family spelling. After settling in Switzerland, Heinrich gave the name a French accent. Writing it as Nestle, the form henceforth used in used in Switzerland and changed Heinrich into Henri. By the time Henri was born, five of his brothers and sisters were already in their graves. As a result Nestle made it his life’s work to fight with the high infant mortality of the times leading to his invention of infant cereal. Nestlé’s interest in baby food was decades away. The children did not actually die in infancy. They were victims less of malnutrition or gastrointestinal infections than of contagious diseases such as diphtheria, scarlet fever, measles, and whooping cough. Moreover, when he made his invention Nestle was not looking for a cure but trying to improve the state of infant nutrition. Nestle is the world’s largest food company involved in nearly every field of nutrition, with a turnover of 88 billion Swiss Francs. It is largest not only in terms of its sales but also in terms of its product range and its geographical presence. Its field of nutrition includes infant formula, milk products, chocolate and confectionery, instant coffee, ice-cream, culinary products, frozen ready-made meals, mineral water etc. Nestle is also major producer of pet food. 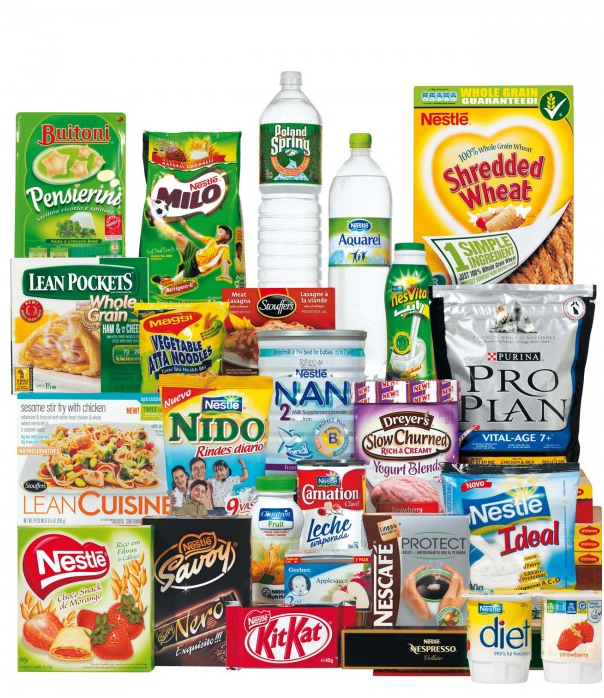 In most of these product groups and in most markets, Nestle is the leader or at least a strong number two. Nestle is focused company with more than 94 percent of the sales coming from the food and beverage sector. Nestle is present around the globe, on all continents, with around 230,000 people working in more than 84 countries with 468 factories and with sales representatives in at least another 70 countries. Most popular brands of Nestle are Nescafe, NIDO, Maggi, Polo, Smarties, Milo, Perrier, Friskies, Kit Kat, and Crunch. Some of their products have broken records: 3,000 cups of Nescafe are consumed every second, and Kit Kat merited an entry in the Guinness Book of World Records as the world’s best selling chocolate bar, with 418 Kit Kat fingers eaten every second around the world. Nestlé does not favor short-term profit at the expense of successful long-term business development. Nestlé recognizes that its consumers have a sincere and legitimate interest in the behavior, beliefs and actions of the Company behind brands in which they place their trust and that without its consumers the Company would not exist. 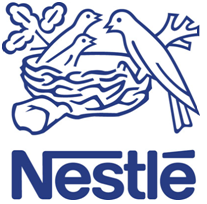 Nestlé believes that, as a general rule, legislation is the most effective safeguard of responsible conduct, although in certain areas, additional guidance to staff in the form of voluntary business principles is beneficial in order to ensure that the highest standards are met throughout the organization. Nestlé is conscious of the fact that the success of a corporation is a reflection of the professionalism, conduct and the responsible attitude of its management and employees. Therefore recruitment of the right people and ongoing training and development are crucial. Nestlé continues to maintain its commitment to follow and respect all applicable local laws in each of its markets. Pharmaceuticals (Ophthalmic drugs, lens-care solutions & optical surgical Instruments.